Welcome to Day #3 of Chocolate and Orange Theme Week. It's January, and it's gray outside. 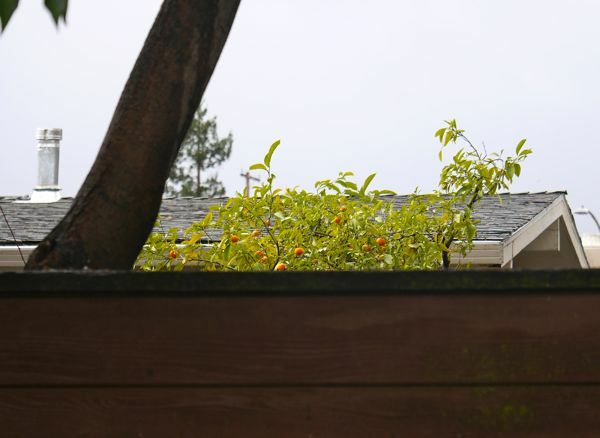 But the sight of a tree loaded with bright orange citrus fruits peeping over a fence brightened my day. 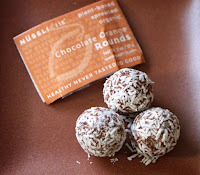 Today's Chocolate Orange Rounds from Nussli 118 (Cambridge, MA), also were uplifting. 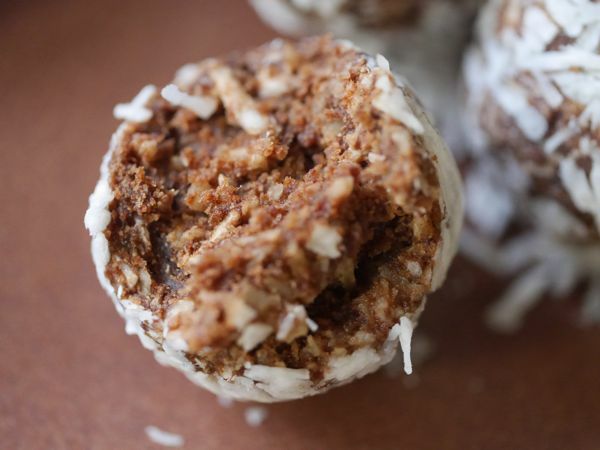 The subtle orange, almost floral, aroma and flavor in these natural* confections prevented the coconut from dominating too much, and helped balance the sweetness. * These sweets were natural in the way I wish the term really meant: no artificial or extra preservatives or flavorings, made with organic (as in organic farming practices) ingredients, with minimal processing.